Sting & Shaggy have announced a 2019 UK Tour. Tickets are on sale right now. 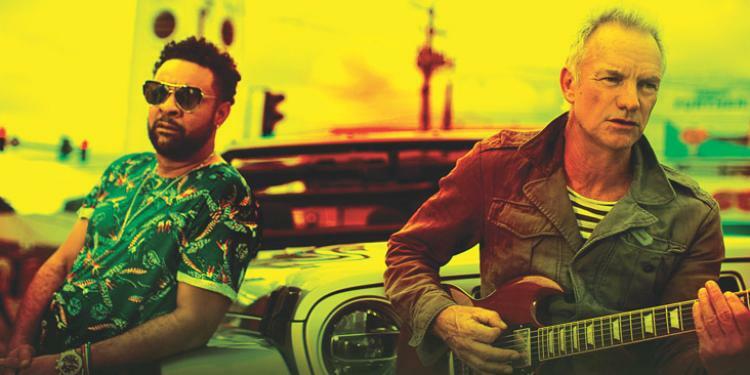 Following their critically-acclaimed 2018 tour, STING and SHAGGY will kick off the summer by bringing The 44/876 Tour to the UK for a series of intimate and exclusive shows. These very special limited engagements start in London on 19th May, then Newcastle, Birmingham and finishing in Manchester on 25th May. Hailed “one of the most anticipated concerts of the year” and “a two-hour musical melting pot,” the dynamic and vibrant joint live show finds the two GRAMMY-award winning artists combining their bands to perform songs from their island-flavored album, 44/876 (A&M/Cherrytree/Interscope Records) and collaborating on each other’s most celebrated hits such as "Every Breath You Take," "Englishman In New York," "Message In A Bottle,” “It Wasn’t Me,” "Mr. Boombastic" and "Angel.” ‬‬‬‬The critically-acclaimed 44/876 World Tour also travelled through North America, South America and Eastern Europe.